An introduction: Madani film festival | Since the first time JIFFest held, Islamic-themed films most likely to fall into our screening schedule. Issues surrounding Islam it is always a warm conversation, and films about Islam both Muslim countries and other countries have always attracted the attention of the audience JIFFest. Last year, we held a special section, the movie of Islam themed. This year, we are proud to present Madani Film Festival, a film festival specifically about Islam from around the world. International films screened at the festival are the films that uplift the lives of the Muslims in various parts of the world. The films should increase the public knowledge about the other side of the Islam that is rarely raised by the media. We believe that through the film, the issues surrounding Islam will be more pervasive in the hearts and minds of the public. The festival, held together home movies, is part JIFFest program this year. 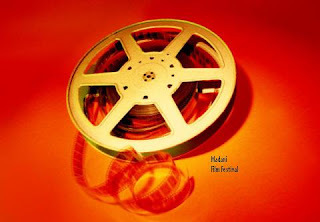 But we plan to make it as a stand-alone film festival next year, with the hope that more viewers can watch these films selected. Welcome and welcome to Madani Film Festival! Johnny English Reborn | After the success in 2003, Rowan Atkinson funny series starring Mr. Bean is back in the movie Johnny English Reborn part 2 (2011). Movies with bandage action and comedy became his trademark. With silliness, patterns of funny and hilarious style of His Mr. bean, Rowan Atkinson has managed to shake up the audience for this movie. The story begins as Johnny English learning martial arts in Tibet to study martial arts. Johnny adventure this time as a secret agent must stop a group of international assassins aimed at creating global chaos by eliminating world leader. The most ridiculous scene I remember in the movie when, Johnny English meetings with the agents Secret Service and has trouble with his seat up and down - up and down. With the style of Mr. Bean as if nothing happened and he looks very silly on the bench. The film which 101 minutes duration was directed by Oliver Parker and distributed by Universal Studios. Those who do not watch the movie in theaters can immediately ran to look for the DVD guaranteed this film could make you laugh. Shutter island 2010 | Maybe this is not the kind of film that is usually made by Martin Scorsese. It's also not the type of movie Oscar which I believe is the reason why the scheduled end of the year could be pushed back to February. Shutter Island is a thriller mystery movie. Based on the novel by Dennis Lehane (Mystic River, Gone Baby Gone), Shutter Island tells the U.S. marshals, Teddy Daniels (Leonardo DiCaprio) and his partner, Chuck Aule (Mark Ruffalo), who conducted the investigation into the disappearance of one of his female patients at home Mental Hospital Ashecliff on a remote island Shutter Island. At first glance, any audience would have been able to guess the biggest twist this film before the first five minutes. The film is not only about the part of that cliche. But there are also some twists that may be missed on the first viewing plus a tricky ending. His narrative is an even more special. How is the mystery of the opening and then obfuscated parallelized with memory and reality of marriage, the Nazis until the cold war (I'm trying to avoid spoilers-after much see the reviews Shutter Island full of spoilers without a warning). And Shutter Island is an effective thriller with a gripping story, scenes and words are disgusting. This movie has a classic atmosphere thick. The music in the film sounds like a mystery thriller movies 40s era, and the visual is very pretty in the context of a dark-fashioned to resemble film complete with rain, lightning, smoking, use of green screen and narrative style. And of course, Shutter Island should be watched more than once if you want to further understand the total view Scorsese in making a modern horror classic.